Across Asia, rampant extraction of sand for construction is eroding coastlines and scouring waterways. t’s a global concern, but especially acute in Asia, where all trends show that urbanization and the region’s big construction boom are going to continue for many years. La Pelosa-one of the Italian island’s more popular beaches—might be banning towels and large beach bags to preserve its sand dunes. The announcement was made earlier this week by Mayor Antonio Diana, who plans to enact strict measures to save the beach. Here is a summary of what Florida and other coastal states and communities have been doing to protect and rebuild their shorelines based on to the American Shore and Beach Preservation Association (ASBPA) data. Mining on the ocean floor could do irreversible damage to deep-sea ecosystems, says a new study of seabed mining proposals around the world. The deep sea (depths below 200m) covers about half of the Earth’s surface and is home to a vast range of species. The government has rejected an application by a controversial Australian mining company for a huge expansion of its existing Tormin heavy mineral sands mine near Koekenaap on the West Coast. 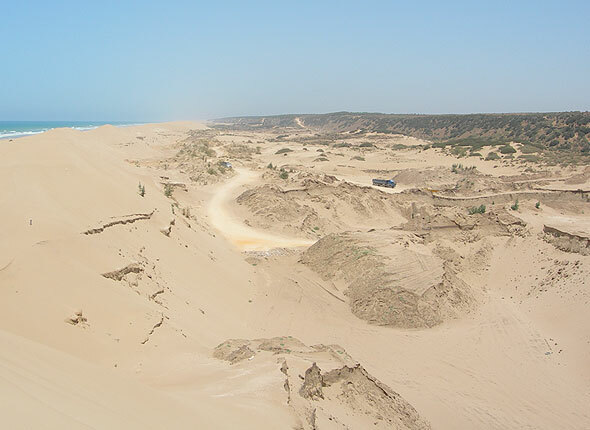 Tormin has been in operation since October 2013, produces heavy sands minerals from the beach. Now construction has begun on a €2 billion ($2.3 billion) project to extend the natural contour of Monaco’s coastline a further 15 acres into the Mediterranean. Did sand from Australia’s east coast get sent to Hawaii? Is it true that back in the day, they used to mine sand at the beach? Comments Off on Did sand from Australia’s east coast get sent to Hawaii? Sand and gravel are the most-extracted materials in the world. The UN believes that sand and gravel, or aggregates, account for up to 85 percent of all mining activity around the world, measured in weight. The 2016 Water Resources Development Act authorized the Army Corps of Engineers to study using foreign sand, such as from the Bahamas, to widen shorelines without resorting to expensive and inefficient truck hauls from inland mines. A year later the study remains unfunded in the agency’s budget. 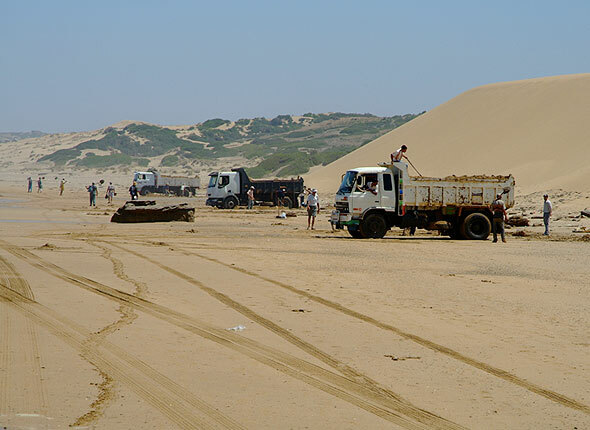 Mining has already cut coastal sand supply by as much as 70 percent in the municipality of Ethekwini, which includes Durban. Each year, miners dig up more than 400,000 cubic meters of sand from Durban’s rivers, enough to fill 160 Olympic swimming pools. This sand would normally be deposited on beaches and help offset coastal erosion. 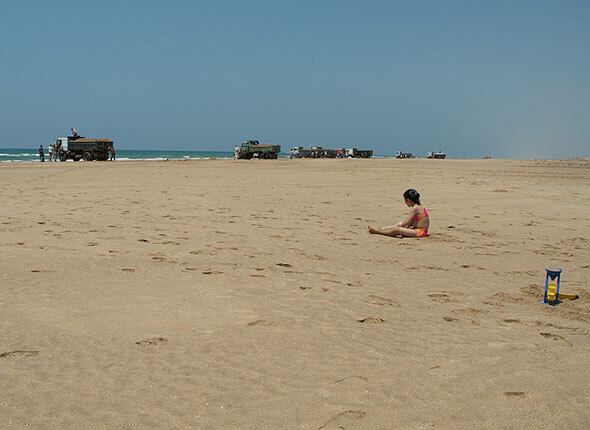 At current mining rates, Durban’s beaches are predicted to contract, on average, by more than a meter each year. 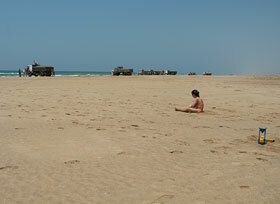 According to General Manager Kurt Bjorkman, the resort is the first property in the continental United States to use a GL Sand Machine that turns beer and wine bottles into sand that can be used to replenish the sand in bunkers on the resort’s golf course or the sand at the nearby beach. On parts of the shoreline in the Moroccan beach town of Tangier, something is amiss. Though the ocean is there — its waves lapping, crashing and roaring as they have since time immemorial — it is not a place for long days of lazing on soft sand. Because there isn’t any. Legal and illegal sand miners are competing in the race to provide sand for use in the construction industry. The traffic is such that entire beaches are disappearing.